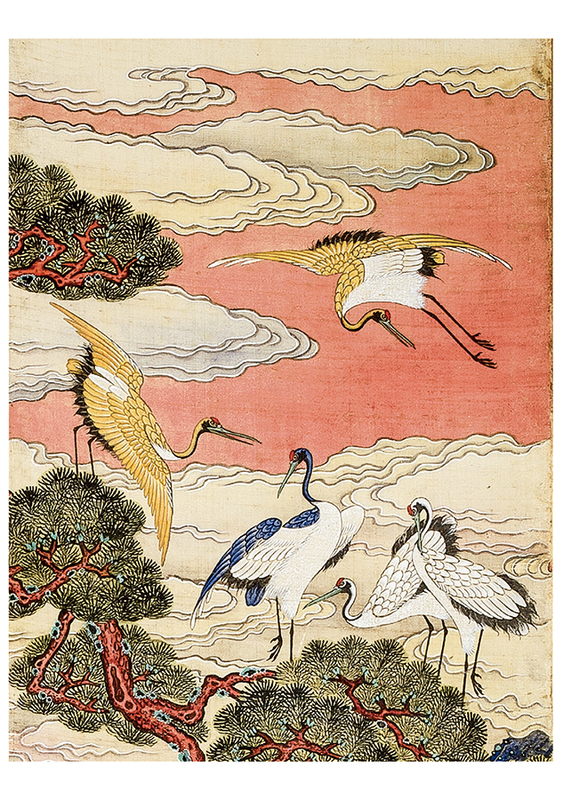 This Ten Symbols of Longevity (Shipjangsaengdo) screen was commissioned in 1879 to celebrate the recovery from smallpox of Korean Crown Prince Yi Cheok (later known as Sunjong, 1874–1926), the final ruler of the Joseon dynasty (1392–1910). The full ten-panel composition includes two panels (not shown) inscribed with the names of physicians and members of the court credited with returning the prince to good health. 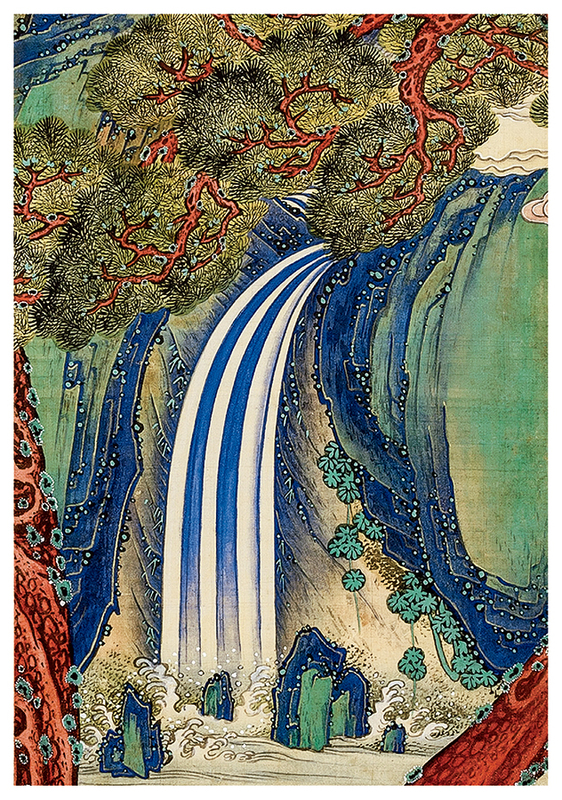 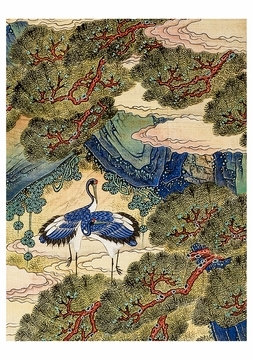 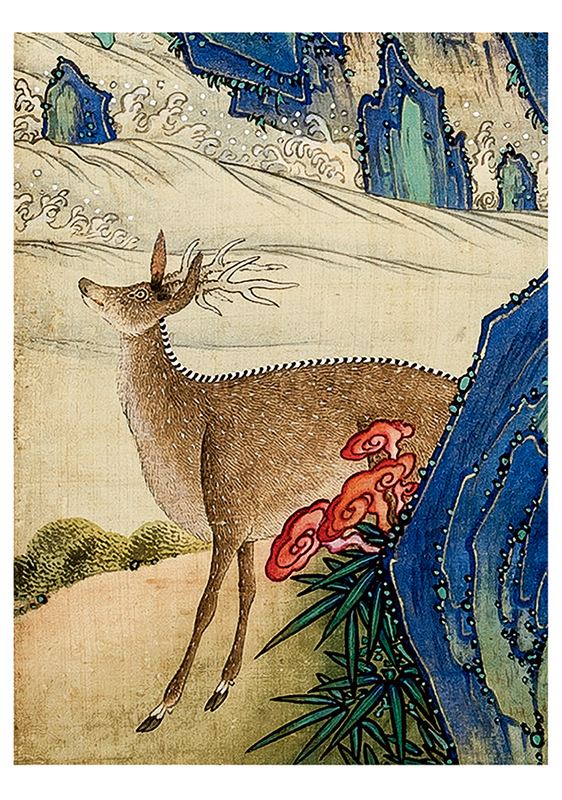 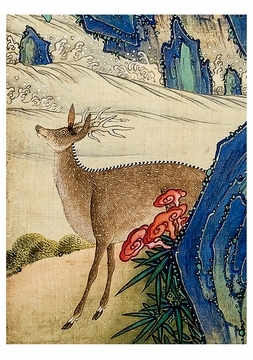 The eight painted panels depict ten auspicious items: the sun, clouds, mountains, water, pine trees, bamboo, mushrooms of immortality, deer, cranes, and turtles. 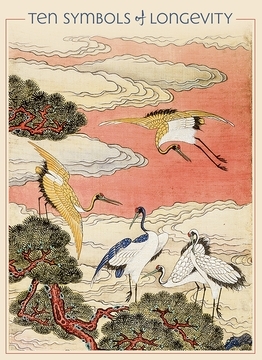 Contains 5 each of four details from Ten Symbols of Longevity (Shipjangsaengdo) screen, Korean, 1879–1880.